Whether you're an experienced mechanic or an amateur, when you discover a new product and you see an assembly guide, it may seem difficult. Unlike conventional snow chains, the Onspot system is accompanied by detailed, clear mounting instructions, with pictures or diagrams. You can now work with smile. Through my experience in assembly, I’ve noticed that each installation was different because we have more than 170 bracket kits ready to mount. Some techniques, however, remain common to vehicles, and save a lot of time! With these tips and tricks and some time, you can become an expert in mounting the Onspot Automatic snow chain system, just like a lot of mechanics around the world. **Note that this book will give you tips & tricks to save lot of time when you do the mountings, but it is required to look over the mounting instructions that are in all the boxes and that it must be followed regarding torques, drawings and pictures. Please read these tips & tricks and shared it with you colleagues! 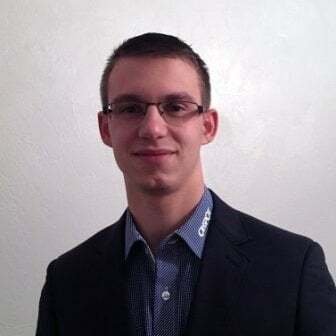 Lucas is part of the Onspot sales team and is based in France. He studied sales and received a national diploma in a 2 year program. Lucas discovered Onspot when he was completing a 3 year program focused on trading and customer relationships, ultimately receiving a higher technician diploma in this area of study. Lucas has worked at Onspot since 2014 and he is passionate about the industry and its associated marketing strategies. Lucas is a lover of wine and travel. When he is not at work, you may find him in a restaurant or coffee shop in his hometown of Metz.